Boeing Won USD 1.17 Billion Contract For Kuwait. Boeing was awarded a contract of up to USD 1.17 billion to produce and deliver 22 Super Hornets F / A-18E and 6 F / A-18F for the government of Kuwait by 2022, the US Department of Defense announced on 30 March. The State Department's approval of the sale of Super Hornets F / A-18 to Kuwait was announced for the first time in November 2016, and the country requested a total of 40 Super Hornets, including 28 fighters for the initial delivery, plus the option to order 12 more. Boeing was to provide Raytheon APG-79 radars activated with electronic scanning and 20mm guns for the reactors, according to the original sales announcement. "The acquisition of the F / A-18E / F Super Hornet aircraft will allow greater interoperability with US forces, providing benefits for training and possible future operations of the coalition in support of shared regional security objectives," said the Defense Security Cooperation Agency when the arms agreement was announced for the first time. The F / A-18E Super Hornet is a single seat version of the fighter, while the F / A-18F has two seats in tandem. Orders for the fighter have increased recently, as Congress topped the list of applications from the US Navy. UU With 10 Super Hornets Boeing F / A-18, worth USD 739 million, in March. 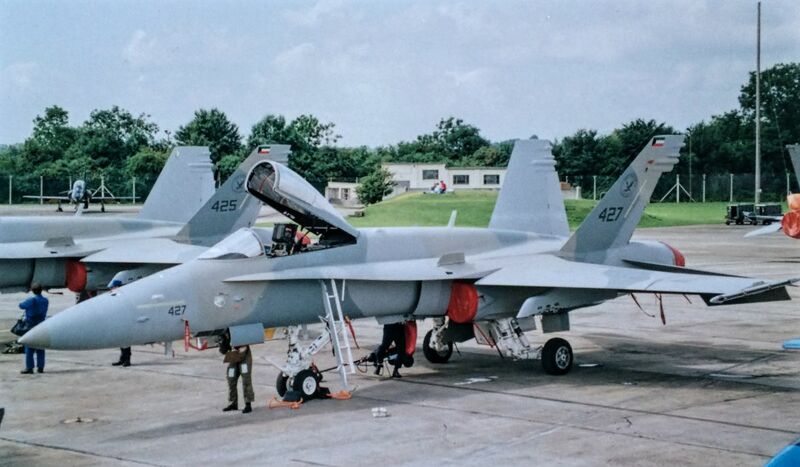 Work on the Boeing F / A-18 Super Hornets for Kuwait will be divided primarily between St. Louis, Missouri; Goleta, California; and El Segundo, California, according to the award notice.